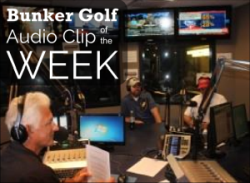 AUGUSTA, Ga. – Since the year’s first major is underway and you can’t be here yourself, here are my top moments from Wednesday at the Masters and the annual Golf Writers Association of America awards dinner. My day began with the annual Golf Writers meeting in the Augusta National Press Center. Upon entering ANGC through a private gate and shuttling past the club’s own cottages – tournament patrons nowhere in sight – I arrived at the ENORMOUS Masters Press Center. Picture NASA Ground Control meets a drive-in theater. Very impressive. The first thing I did after my meeting was hit the practice facility, where Phil Mickelson was in the middle of a grind session with swing coach Andrew Getson. A small tweak here and there, some words of encouragement – it’s fun watching how the world’s best practice and work with their coaches. Which is not dissimilar to how GOLFTEC students work with theirs! By the way, parking yourself at the range is a must-do at the Masters (or at any Tour event for that matter), because there’s action happening in all directions. I could’ve sat there all day but, alas, had that famous golf course to explore. It’s often said Augusta National is hillier in person than it appears on TV. This is true. What’s not often said, however, is how much smaller the greens are in real life than they appear on the flat screen. That goes to show just how good these players are, especially when you take into account that these greens are also significantly more sloped than they appear on TV — and as fast as any course on the planet. 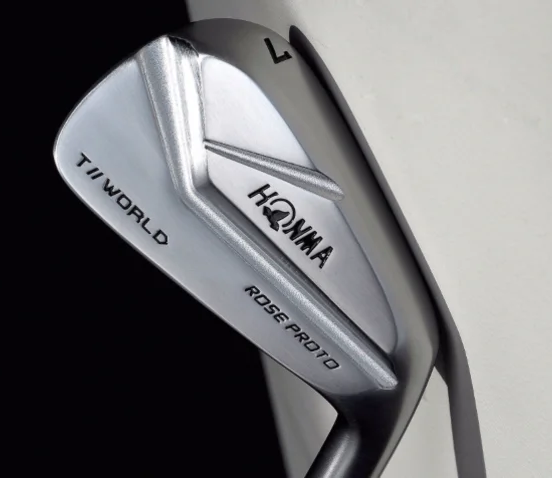 When Justin Rose signed with Honma in January 2019, the obvious question for equipment fans was: “What model clubs will he use?” Rose quickly put speculation to rest with a Twitter post showing off never-before-seen T//World 747 Rose Proto MB irons. Rose wasted no time notching a PGA TOUR win using the prototype irons; he won the 2019 Farmers Insurance Open at Torrey Pines in January. Equipment fans then began to wonder whether the “Rose Proto” irons would eventually hit retail. Honma has officially announced that the clubs are now available for purchase. According to Honma, the irons – which are forged from S20C mild carbon -- were designed with “extensive input and direction” from Rose, who has been using the irons throughout 2019. MELBOURNE, Victoria, Australia – In arguably one of the greatest comeback in sports history, 2019 U.S. Presidents Cup Captain Tiger Woods secured his 81st career PGA TOUR title with a one-shot victory at the Masters Tournament for his 15th major championship title and first since 2008. The victory elevated Woods from No. 17 to No. 9 in the U.S. Team standings as he looks to become the second-ever playing captain and first since Hale Irwin in 1994. The Presidents Cup will return to Melbourne, Australia and The Royal Melbourne Golf Club for the third time, December 9-15, 2019, when the International Team, led by Captain Ernie Els, will take on the U.S. Team led by Captain Woods. Woods, an eight-time Presidents Cup participant, owns an overall Presidents Cup record of 24-15-1 and has the second-most match victories in Presidents Cup history behind Phil Mickelson (26). At Royal Melbourne in 2011, Woods posted a 2-3 record and secured the winning point with a 4-and-3 victory over Aaron Baddeley. If Woods goes on to earn a spot on the 2019 team it would mark his first competitive performance in a Presidents Cup since 2013, where he also secured the winning point at Muirfield Village Golf Club in Dublin, Ohio. Woods was one of six U.S. players to finish T5 or better at Augusta National, with each player currently no lower than 12th in the U.S. Presidents Cup standings. Dustin Johnson, Brooks Koepka and Xander Schauffele all finished T2 while Webb Simpson and Tony Finau finished T5. Johnson reclaimed the top spot in the standings from Justin Thomas (T12) and Koepka jumped two spots to No. 4. Elsewhere in the top 10 at the Masters, Rickie Fowler and first-time hopeful Patrick Cantlay both finished T9 and sit at Nos. 7 and 13, respectively, in the standings. PHOENIX (AP) - Jin Young Ko channeled her inner Dustin Johnson to win for the first time in the United States. "She told me Dustin hit so bad and he didn't get angry - put clubs in the bag and just walk," Ko said. "So, I tried like Dustin yesterday and today. I just tried no angry, no happy, just focus. "